Teachers and parents alike often approach conferences with apprehension or nervous fear, especially if problems or difficult issues need to be discussed. Proper planning, forethought, and empathy can go a long way in helping to ease those tensions. Join Leigh Anne Kraemer-Naser as she discusses the Parent Protocol, a planning tool that allows teachers to carefully choose how they are going to present a sensitive or problematic issue to parents. She will cover choosing how to invite parents to a conference, presenting information in an objective yet empathetic manner, and using reflective listening techniques to confirm parent responses. 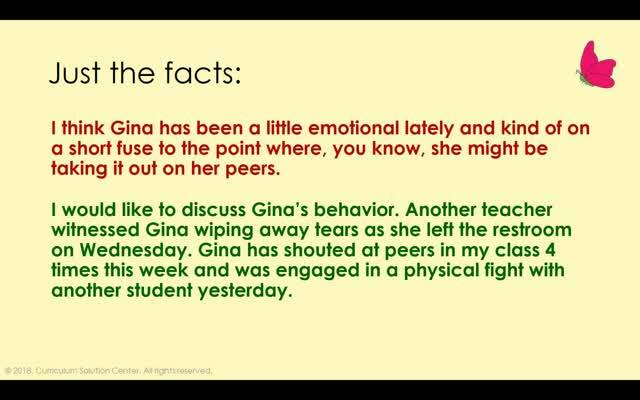 Excellent information - As our lower school assistant principal, I plan to share this with all of my teachers. 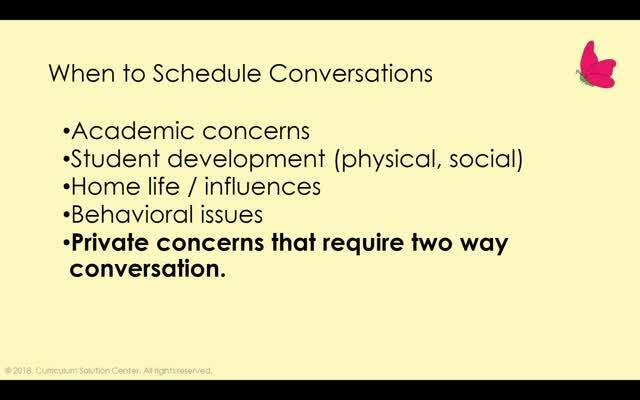 Good strategies for being proactive in a parent conference. Excellent webinar! Full of practical, common sense information! Thank you! I liked the reminder about reflective listening. 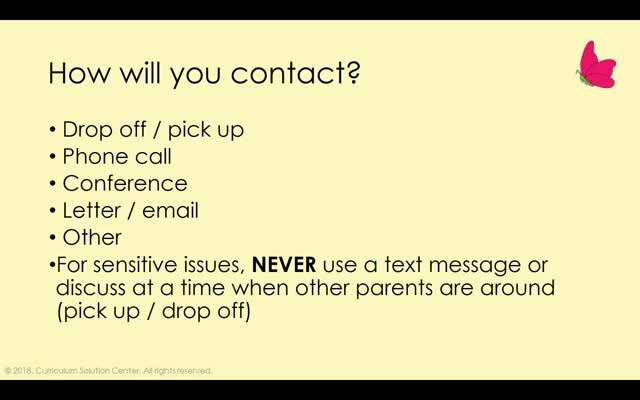 Good reminders of common sense items when speaking with parents. Great reminders and suggestions! Thank you for sharing!